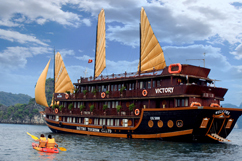 Inspired from traditional beauty and special classic cruise on Ha Long, Victory Cruise is a symbol of traditional legendary beauty combined polite beauty of Eastern style. 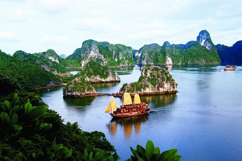 This cruise can bring you to amazing journey to discover Ha Long Bay- a Natural World Wonder. 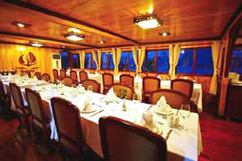 Victory Cruise is designed and made of special wood, modern facilities and high artist decoration in each cabin. 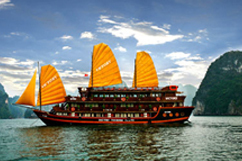 With 21 cabins, Victory Cruise is an ideal place for you to relax and enjoy natural beauty of Ha Long Bay. 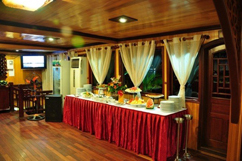 You shall explore Vietnam traditional cuisines and other international food with Eastern tastes to be served by friendly and warmly staff. 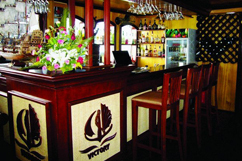 You can enjoy karaoke at the restaurant or enjoy cocktails, beer and wine at the bar. 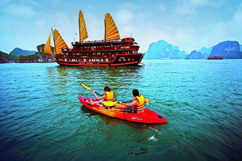 Traditional boat racing is one of activities we organize for all travelers stay over the bay especially all guests staying on Victory Cruise. 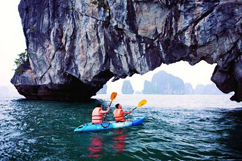 Besides, swimming and rowing Kayak can add more interesting things for your journey. To be wallowed in the blue water, you can find very special feelings that you have never got at any other seas. You can explore some caves and discover some new things around you. 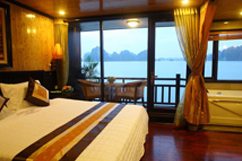 In evening, you will be wallowed in music pleasures that can make you forget all tiredness you have had in a day. 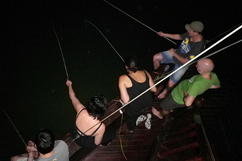 Furthermore, you can show your skills to catch fish, squids and enjoy them if you want. You can join Taichi class in early morning in order to recharge yourself again for the next journey.